Have you ever got lost in a big building, like a hospital, an office building, a university or a shopping mall? While Google Maps and Waze make it easy to navigate outside, Mapwize is the solution to find your way indoors! Thanks to our SaaS platform, building owners can efficiently digitalize the map of their buildings and provide wayfinding and new digital services to their customers and employees. Mapwize already has customers worldwide and new venues are deployed every day. We are looking for talents to join the team and be part of our Smart Building revolution. To develop and maintain the Mapwize API. Key component of the platform, it has to be best in class, scalable, robust, bug free, tested, and well documented. 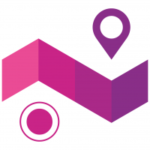 Internally, the API is connected to Mapwize Studio (map editor) and to the web and mobile Mapwize apps.It is also feeding data to our SDKs (iOS, Android and JS) our customers are embedding into their own apps. And finally, it is used directly by clients to inject and retrieve data in real-time. The entire stack is built on Node.js. Hosting is cloud based with continuous delivery. The test suite contains hundreds of tests. Reporting directly to the CTO, you will join a team of 4 developers and contribute to the overall technical development of the Mapwize platform. – At least 5 years of experience in backend development. – Having contributed to the deployment of a REST API. – Experience with API testing and cloud hosting. – Efficiency. We need to release fast! – Attention to details. There is no room for bugs and slow responses. – Organization and planning. The backlog should be clear, releases anticipated, and planning kept. – Teamwork. The entire company needs to work well together to achieve the best results. – Openness to criticism and ideas. That’s how everyone grows further. – Follow-through on commitments. Our clients are expecting the best from us, we expect the same from you.